Make sure your customers drink enough water throughout the day with help from this 18 oz. 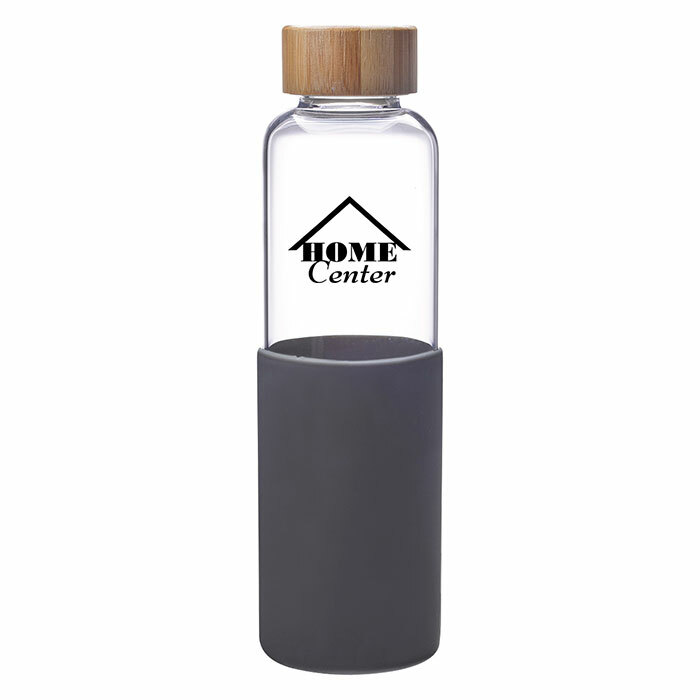 custom printed James Glass Water Bottle! 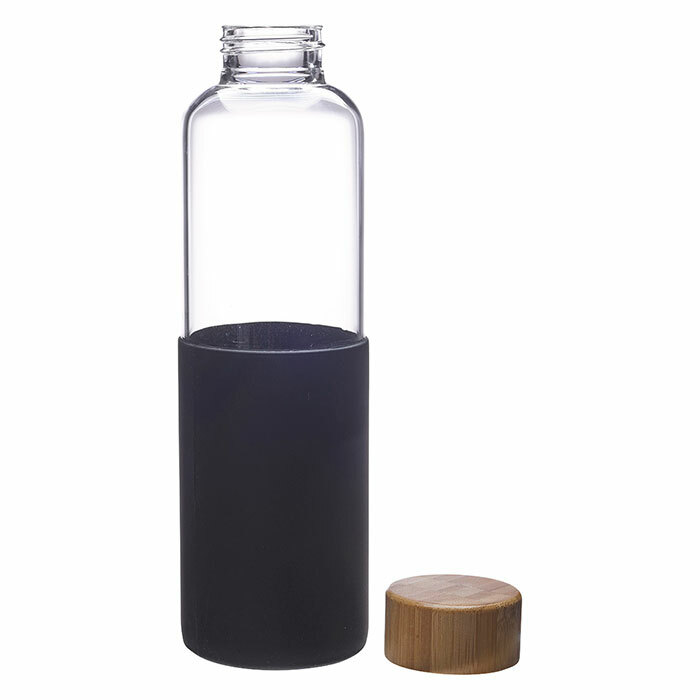 This reusable water bottle is made of high borosilicate glass and features a silicone sleeve for easy handling, a wide mouth opening that can be sealed by its screw-on, spill-resistant bamboo lid. 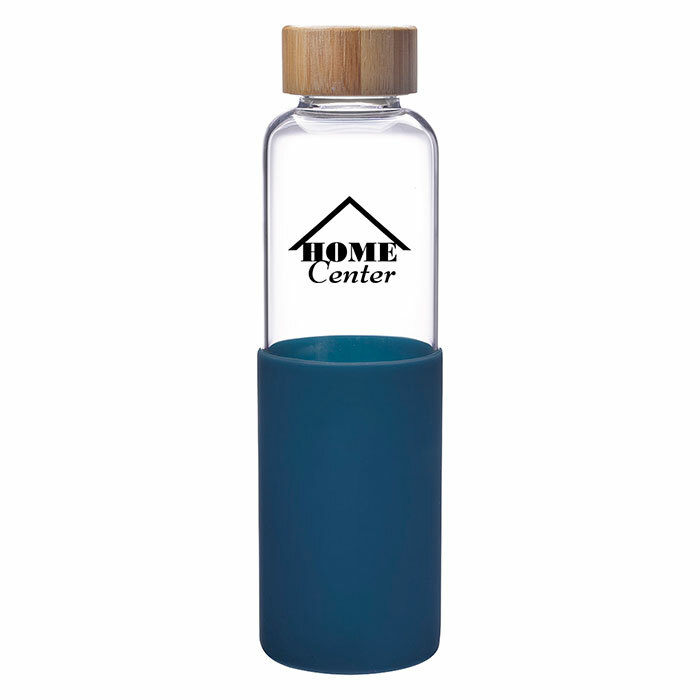 This promotional glass water bottle is BPA free and meets FDA requirements. We recommend hand washing to keep it in its best shape! Not for hot liquids! Your logo or design is imprinted on the side of the bottle creating a lasting promotion on an everyday use item! These modern bottles make a great giveaway for conferences, yoga studios, welcome gifts and more! Order today! 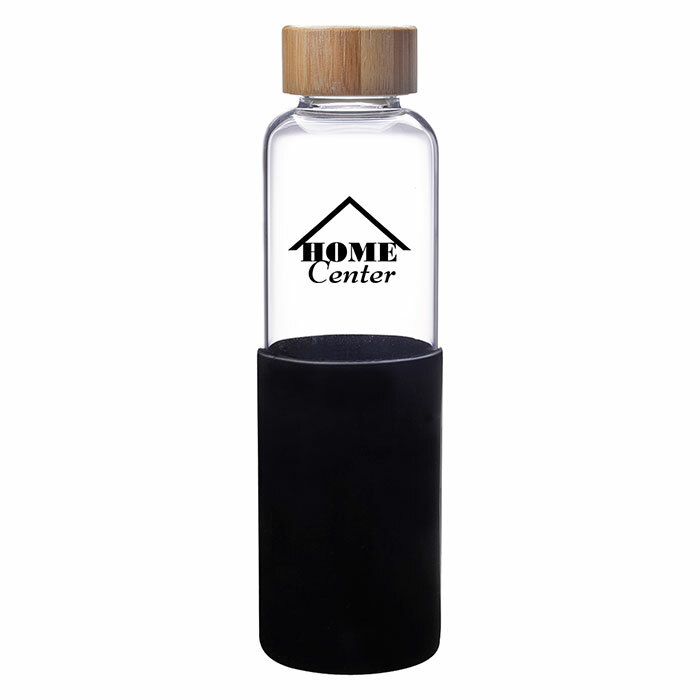 1 Color Imprint of Your Logo Included!